SEO is no rocket science or neurosurgery, but neither is it as simple as first-grade algebra. If you’ve always wondered just what the hullabaloo is about, allow us to demystify SEO for you. When a customer/user needs information about a product or service, or just information for its sake, his/her first instinct will be to turn to a search engine. The search engine then provides these results according to a number of factors to ensure the user’s need is met. Now, search engines use a number of characteristics to grade webpages and determine what is shown to the user first. These characteristics may be on your own site (on-page SEO) or in places other than your site, but about your site (off-page SEO). The engine then applies a complex algorithm to condense this information before presenting it to the user. 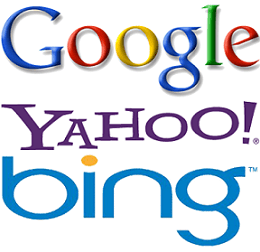 Why is your ranking on search engines important? The average Internet user is extremely impatient, as are we all. We want what we want right now, and if we don’t get it we turn away and look elsewhere. Because of this quality inherent in mankind, studies have shown that more than 80% of searchers do not go beyond the first page of results when they are looking for something on the Internet. If the first ten results don’t give them what they want, they simply change the query, rather than sift through pages 2-100 of results. Therefore, as a business owner, you need to be ranked as highly as possible – within the first five results actually – if you are going to see the kind of traffic that will change and grow your business. 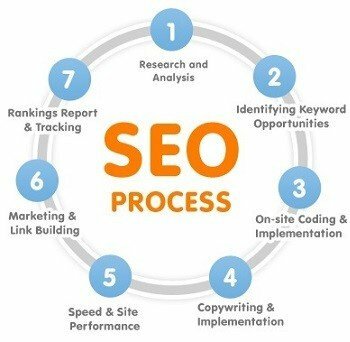 Our job as your SEO Company Mumbai is to study all these on-site and off-site qualities that will set you apart from your competitors and reverse-engineer the information to give the search engine all the information it needs to rank you highly on its results pages (SERPs). Why is SEO a little complicated? Our explanation sounds pretty simple, right? So why isn’t SEO as straightforward as that? The reason is that search engines are continuously changing and improving their algorithms in order to give users the best results, and that with good reason: how many times, for instance, have you searched for something only to find that the results weren’t exactly what you wanted? Onsite SEO – this relates to your site infrastructure and web content shared in different pages. We target the best performing keywords through thorough keyword research and match existing and created content according to those keyword clusters. In addition, we tweak elements of your web design to ensure that your architecture is friendly for visitors. Offsite SEO – this relates to the way other sites reference your website. Our strategy includes building you a high-quality, high-authority incoming link profiles from related sources, building and maintaining a relevant and active social media following, creating brand mentions and citations about your brand and products. Offsite SEO is extremely important, and responsible for more than half of your SEO results. There are over 200 signals that contribute in some way to SEO rankings, and our aim is to take advantage of our experience to help you meet as many of those signal as possible to attain and maintain the best ranking positions in your niche. Keywords are very important, because these are the terms that searchers use when looking through the internet. At Ginger Domain, our strategy is to research on and develop working keyword clusters – groups of phrases related to core/generic high-volume keyword phrases – which we will use to improve your onsite SEO signals. We employ the latest SEO tools and software in order to give you a well-rounded and balanced list of keywords – and not to overstretch your strategy by choosing too many target keywords. As your SEO company in Mumbai, we will use the above clusters to edit your existing content to include these keywords in the right density so as not to look ‘Spammy’ to search engines. Usually, we begin by using the main keyword to optimize your home page and other important landing pages e.g. main navigation pages. The rest of the keywords are them distributed in a natural way throughout as many pages of your site as possible. Once this is done, all new content created to your site will target specific keyword clusters depending on the goals for each piece of content. This is also useful where your current content cannot be naturally optimized with your best performing keyword clusters. Websites are not all the same; some sites have a great starting point for SEO purposes, while some are very difficult to navigate and hence SEO-unfriendly. Part of our job as your SEO agency Mumbai is to help your web design and development team to improve your site structure in order to ensure that your site is accessible to both users and search engine crawlers. If you want to know how your site is performing in search engines, go to the Google search box and type the following string (no quotation marks): “site: www.mydomain.com” where ‘mydomain.com’ is your web address. This will show you how many of your pages have been indexed in Google page results. Contact us immediately if you don’t like what you see. Link and citation building and social profile management are the main aspects of offsite SEO, and they greatly contribute to your ranks on Google SERPs. Search engines will take as high authority content that has been endorsed by another site considered high-authority by the search engine. This is often done using links (leading back to your site) and citations (simple mentions with no links).Therefore the more links from related authority sources you have, the more likely it is that your content will be placed over similar content in ranking. In addition, social signals like likes, tweets and shares back to your website are becoming increasingly important for your SERP ranking. 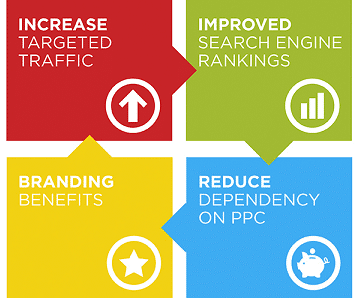 Therefore, having a vibrant social media profile is important for high SEO rankings. If you don’t know how to get started, contact us and we will help you with both aspects of your marketing strategy.